Jack Boyle shares updates from the New Zealand Post Primary Teachers’ Association (PPTA). 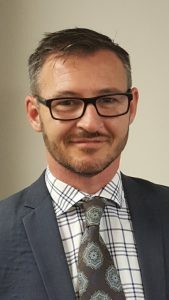 Jack Boyle is the President of the New Zealand Post Primary Teachers’ Association (PPTA), the union for secondary teachers in public schools across New Zealand. He was elected to PPTA’s Executive Board in 2013 and served as Vice President in 2016. Jack started his career teaching English and Drama in secondary schools in the lower North Island of New Zealand in 2005 where he also joined the PPTA and became an active member. Since then, Jack has been actively involved in campaigns at national, regional and international levels including chairing the PPTA’s Behaviour and Workload Taskforces as well as being part of the Industrial Bargaining Team in 2015. He is committed to fairness, equity and social justice and believes that free public education is a cornerstone to achieving these in the world.